"Are you all ok? We have to look after each other, don't we?" 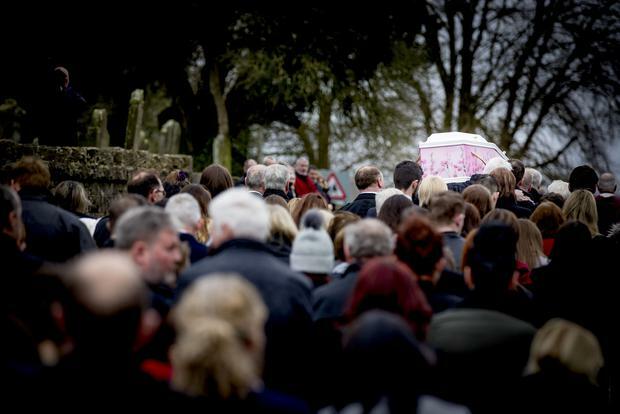 As we sat in the back pews of our chapel in Donaghmore waiting for the cortege of 17-year-old Lauren Bullock to arrive, Archbishop Eamon Martin gently stopped at every row and in a quiet whisper said words of comfort to waiting mourners. Outside the chapel, hundreds of silent people, too numb with sorrow to speak, lined the street in our beautiful village of Donaghmore as the ancient cross of St Patrick, that stands so proudly, watched over them. Young people formed an extensive guard of honour wearing uniforms representing schools from all over the district. Lauren's friends passed round ribbons of purple which teenagers pinned to their jackets - a touching tribute to the girl who loved to dance in her favourite colour. 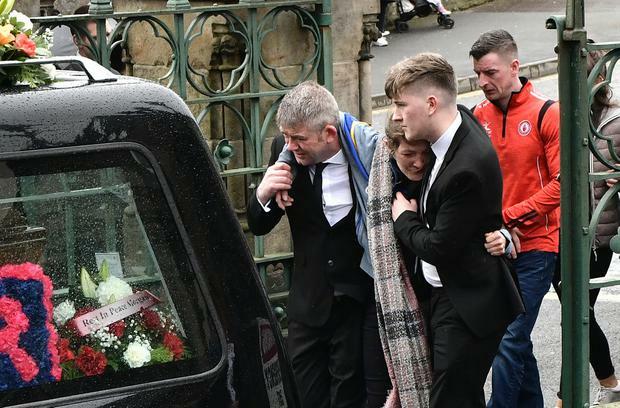 It has been a week of silence and whispers in Tyrone; a week of disbelief, of shock and tears. It has been a week that will change the meaning of St Patrick's Day for us all for a very long time. Our local GAA club in Donaghmore is named after our patron saint. So is our chapel, our primary school and the two schools where Lauren, Morgan and Connor attended in nearby Dungannon until they, as our parish priest Fr Moore said, "were overpowered literally in the mad rush of the modern world and needlessly lost their lives". 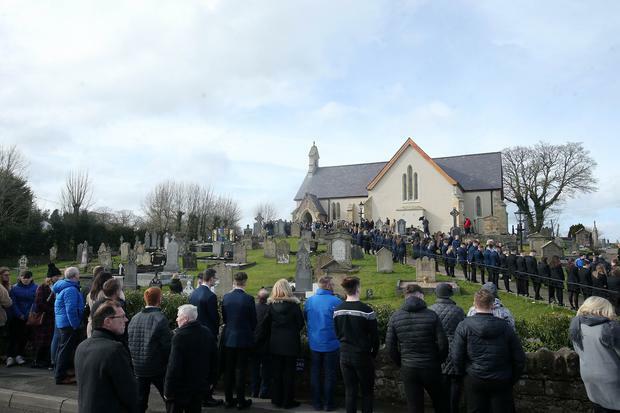 Everyone knows by now that Sunday night turned out to be one of horror for the young people who attended what was supposed to be a night of celebration, fun and dance at the Greenvale. 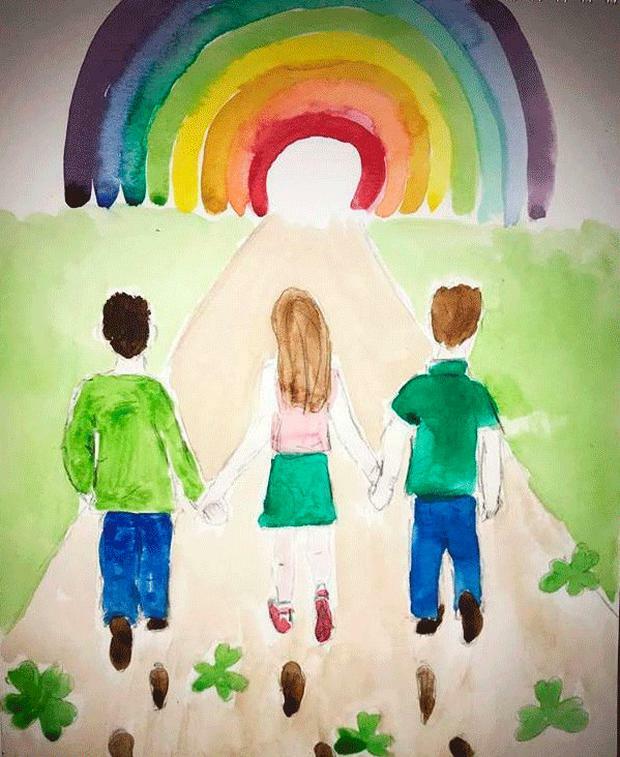 Monday brought deep shock as the news slowly sank in, and as the days that led up to the funerals for all three young people ticked by, our community walked around quietly, tip-toeing beneath a dark cloud of pain and disbelief. The roads seemed quieter this week. People huddled in supermarkets, shaking heads, patting shoulders, wondering how on earth life could be so cruel that three youngsters on a night out could be so tragically taken from this world. Books of condolence were opened across mid-Ulster to give those who didn't know what to say but who just wanted to say something a chance to put down their feelings on paper, hoping their words might bring some sense of comfort to the bereaved. TV crews and media from all over Ireland and the UK descended on the quiet streets of our village and in our neighbouring towns of Cookstown and Dungannon. Everyone could feel in the air that something had changed. Something awful had happened. Something just wasn't right. Our schools have been incredible this week and will continue to do sterling work for all those affected for many weeks and months to come. Teachers and staff have truly stepped up and gone way beyond duty, leaving no stone unturned for all the students struggling to comprehend how three of their peers will no longer take the school bus with them, will no longer pass them in the corridor or sit with them in class or in the canteen. They will no longer laugh with them, or share the dread of exams, or look forward in anticipation to a new weekend and all it will bring. A glimmer of hope has splintered through the darkness though in the offers of help that continue to come from absolutely anyone who can make these teens feel even a tiny bit better. Parents of those who were at the disco and who did return home on Sunday, like me, will have locked their doors at bedtime each night this week with a sigh of relief, but also with a deep sense of dread and fear at how it could have been their son or daughter who perished in such an unexplainable way. But at the forefront of all of our minds each minute of every day have always been the parents and families of Connor, Lauren and Morgan who within a three-mile radius of our own home, were leaving their doors open day after day this week as the community rallied round to lend support to them in their darkest hours. Archbishop Eamon reminded us yesterday that "all that really matters, and makes a difference is love and friendship and compassion. And only faith can dare to speak into the darkness of these days to offer a glimmer of light and hope in this valley of tears". We have to look after each other, don't we? Simple words, but oh so powerful and never so meaningful to our community as they are today, and will be for many days to come.